Join me for a series of workshops about how to use herbal medicine for the health of mom and baby, including during pregnancy, postpartum and breastfeeding, for babies and children. I will wrap up the series with a spring herb walk focusing on plant identification and the uses of our local plants for medicine surrounding childbearing, babies and children. As an herbalist who is also a midwife this is a topic of special interest and experience for me and I love sharing this information with my community. These workshops will involve lots of practical information about how to prepare the plant remedies for home use or in your practice and lots of tasting. There will be special attention paid to safety during these sensitive times of the lifecycle. These workshops are open to all levels including people who want to use herbal remedies in their own families as well as more advanced students of herbalism and practitioners who would like to more effectively support the families in their holistic health practices. 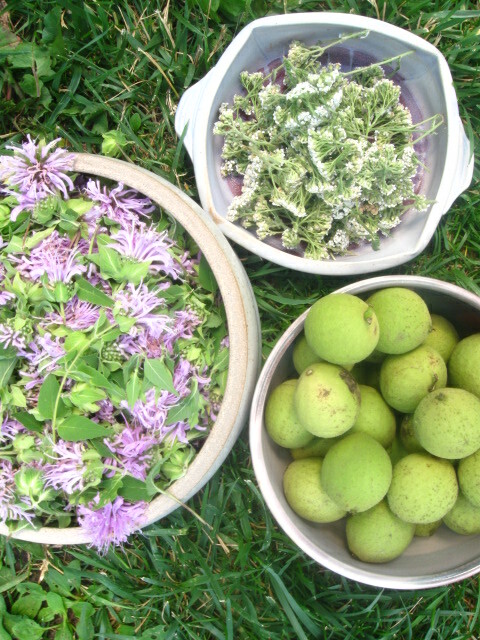 In this class we will study herbs for the childbearing year, including safety concerns and herbs to avoid, traditional pregnancy tonics, herbs for specific pregnancy discomforts and disorders and a brief foray into traditional partus preparators (end of pregnancy tonics and labor promoters) We will have lots of nourishing tonic teas to sample. The period after birth is a very special time for both mother and baby. It’s not uncommon to have some bumps in the road. Herbs and other natural remedies can be safe, gentle and effective allies in coping with common but uncomfortable problems. In this class we will look at traditional practices from around the world that make for a smooth postpartum. We’ll also be sure to cover many common concerns including postpartum anxiety and depression, hemorrhoids, low milk supply, colic, thrush, cord care and much, much more! Bring your questions. Thursday, April 30th. 6:30 pm. Babies and children have unique health issues. In this class we will look in-depth at six traditional children’s herbs which are safe, gentle and effective for a variety of children’s health problems. In the course of our discussion cover many common concerns including ear infections, fever, constipation, respiratory illnesses,and more. Thursday, June 11th. 6 pm. On this plant walk I will introduce you to the many common, local, native and naturalized plants that can be used to make medicine for moms, babies and children. Location (within St. Paul, Minneaopolis or inner ring suburbs) to be announced. Registration: Each workshop is $25. Register for the whole series at a discounted rate of $85. Class will be 2-2 /12 hours in lenghth. Handouts will be provided and there are no materials or supplies necessary. Babes in arms are welcome, but please make other arrangement for crawling babies, toddlers and preschoolers. Make-up date: in the event of terrible weather or if I am at a birth and have to reschedule a class the make-up date is Thursday, June 18th at 6:30 pm. Register for a single class using the button below. Please indicate in your notes to seller which class or classes you are choosing. Register for the whole series at the discounted rate using the button below. If you prefer, you can send a check to Erin Piorier, 851 Dayton Avenue, St. Paul, MN 55104. Be sure to include your name, email and phone number.